Korea Observer: Announcing the 3rd Annual Shorty Awards Finalists! Announcing the 3rd Annual Shorty Awards Finalists! 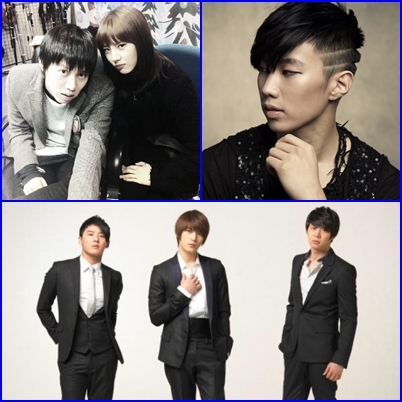 Korean singers JYJ (Junsu, Micky Yoochun and Jaejoong), Jay Park and Heechul are finalists. Congratulations! We are delighted to announce the Shorty Awards finalists in the main categories after receiving over 750,000 tweeted nominations. The Real-Time Academy of Short Form Arts & Sciences will determine the winners from among these finalists. The announcement will be made at the Shorty Awards Ceremony on Monday, March 28th, 2011 at The TimesCenter in New York City. Tickets are on sale now. Are you a finalist? Register here to let us know if you can attend the ceremony. Categories still accepting nominations include Real-Time Photo of the Year,Foursquare Mayor of the Year, Foursquare Location of the Year, Microblog of the Year on Tumblr and the Connecting People Award sponsored by Nokia. In addition, late entries for the Shorty Industry Awards, honoring the industry’s best agencies, brands and social media leaders, will be accepted through February 25th, 2011. Congratulations to all Shorty Awards finalists!